History of Meme: The term “meme” was first used by Richard Dawkins, an evolutionary environmentalist in his novel “The Selfish Gene”. It was meant to describe things, concepts, and behavior easily capturing the attention of society. 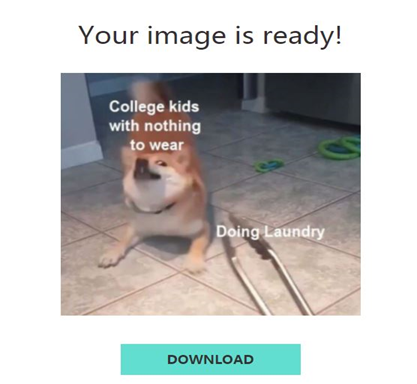 Today, the word meme has evolved and has taken a command referring to the ever-growing relatable image catalog that is used for reference or shared frequently. And, the most ironic of this growing evolution is Meme generators have not even left Dawkins and created a meme of the creator himself. Memes are the most loved way of showing your present state of mind or laugh out through a difficult situation. Earlier, creating memes were considered to be a big deal. Creating the images needed designers’ knowhow and programmers’ attention. But, have you realized the power of technological advancement in the recent times that lets you create meme images in just one click? Here, we discuss a comprehensive meme generator that lets you create video, GIF, and images, all under one roof. Making memes were never so easy until the Online Filmora Meme Maker came into the picture for all meme lovers. It does not only let you create any kinds of memes but also allows you to download watermark free memes easily. Are you looking for a tool that lets you create any kind of meme easily and download without watermark? 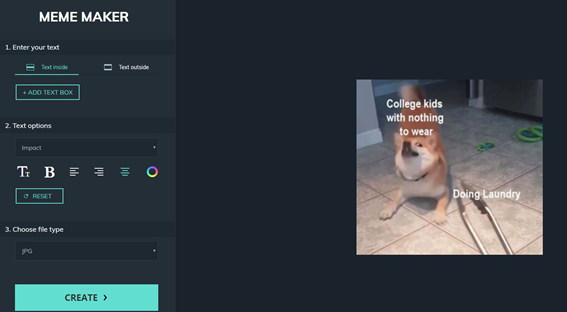 For any individual, the Filmora Meme Maker is one of the best meme generators that effectively let you make GIF, image, or video memes online with perfection very easily and swiftly. I was quite lucky to find Filmora Meme Generator when I was looking for one and has been using it since then. This meme generator is a pure satisfaction when it comes to creating memes quickly. 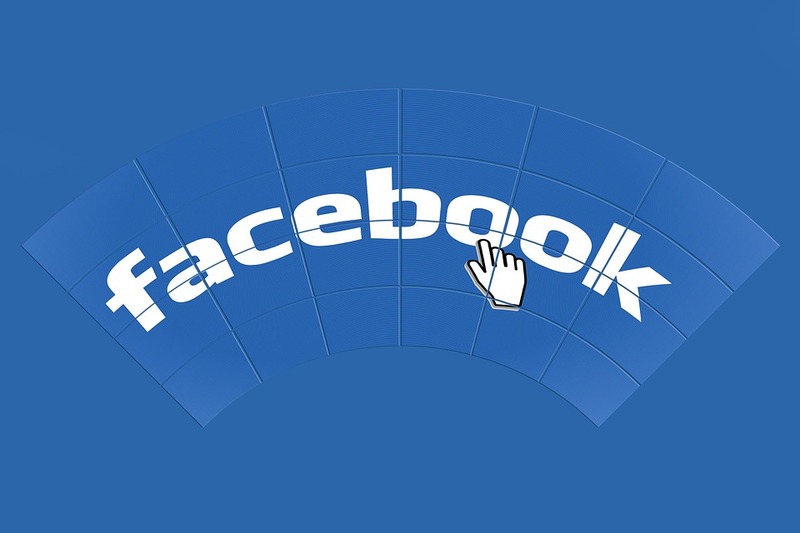 It is a simple tool to use for having fun or starting a meme marketing campaign. 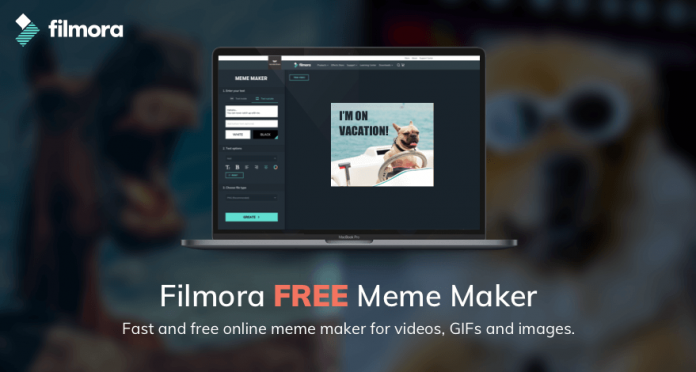 Wondershare’s Filmora Meme Maker is completely a free tool that doesn’t require any kind of registration to use it. You can download the meme after creating it with Filmora Meme Maker without watermarks. Creating GIF, image, and video memes under one tool is possible with Filmora Meme Maker quite easily. 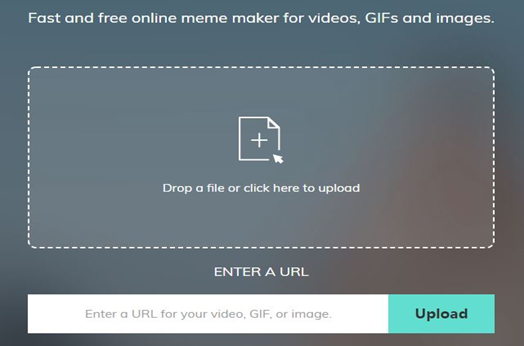 This meme generator lets you create video and GIF memes just by pasting the video URL or dragging the media file. 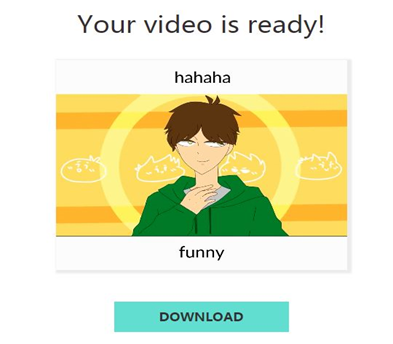 Editing font, text, color, size, position or placing text outside, inside or anywhere in the image is easily possible with this meme generator. The Filmora Meme Maker lets you export the memes to popular image and video formats, including jpg, png, gif, mp4. I am completely happy and satisfied using the Filmora Meme Maker and would highly recommend it to all the users who are still struggling to create a foothold in the world of meme creation. It is easy and the best part is even a beginner can use it to perfection without being confused. Upload the image or enter the URL of the image that is available for free and you wish to create the meme of. Trim the image if required from the correct sheet. Once the upload is done, you get a content tool on your left and review sheet on your right. For filling text within or outside the image, use the left sheet to pick the desired settings. 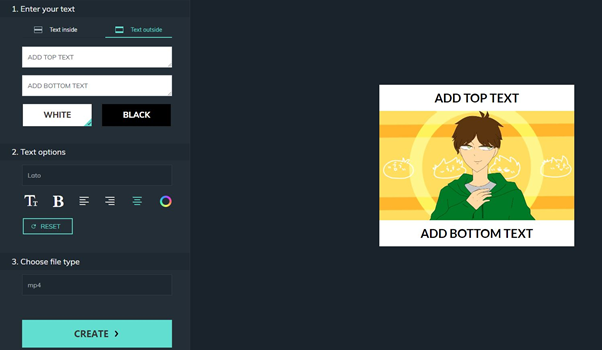 Every content box comes in separate line making it easier for you to enter, edit and review. You can add content box by clicking on add text. Enter the content and keep reviewing it in the correct sheet on the right. 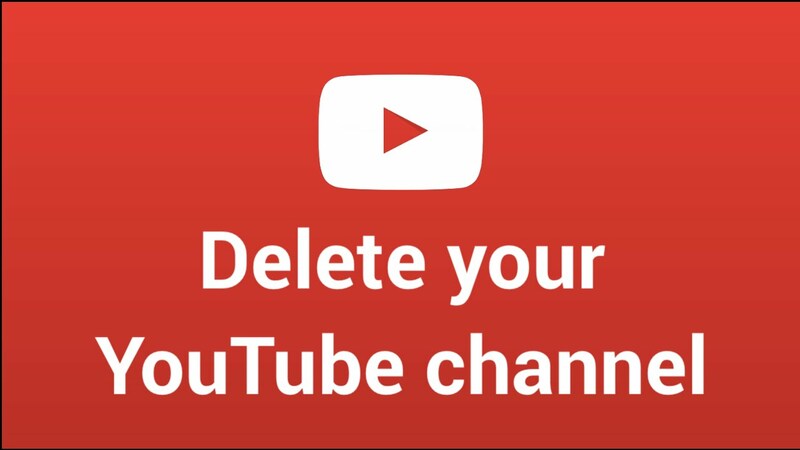 While creating a video or GIF meme, the document must be a video for uploading. You can see the transferred video on the interface. If the uploaded video is too long, you need to trim it first. Click Trim Video at the top. 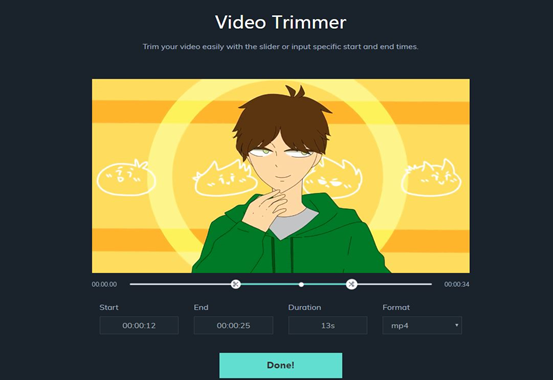 To edit the length of the video, you can use the scissor sliders or you may also enter the start and end time to trim your video. When complete, choose the file type and set it as GIF or mp4. Click on the create box and let it get ready for download. The Filmora Meme Maker is an up-front meme generator to create an image, GIF, and video, memes online completely free. You can make perfect memes easily and effectively within a few minutes with Filmora Meme Generator. 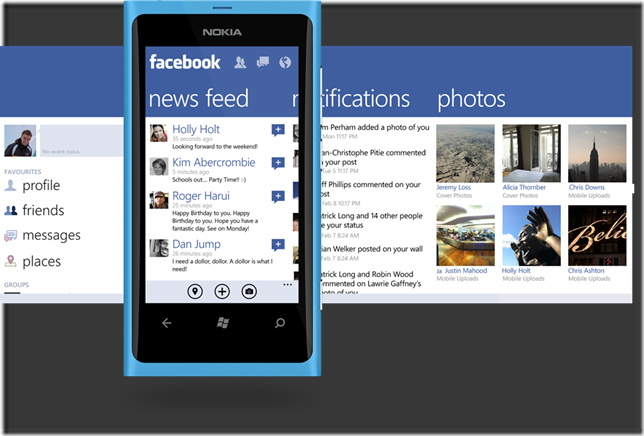 It is a simple meme generator with an easy interface for generating memes rapidly. I share some of the best and most amazing memes with my family and friends using Filmora Meme Maker. You can give it a try too and I am sure you will not be disappointed. Be the first to comment on "Generating Memes Were Never So Easy until I Considered the Filmora Meme Maker"